As a blogger and PR gal, I'm no stranger to sending and receiving pitches. Most of the ones I receive are destined for a similar fate...the "insta-delete" (yes, I'm my own worst nightmare). However, a short, simple and personalized pitch from Adrian landed in my inbox about an hour ago, introducing me to Annie Housewife. 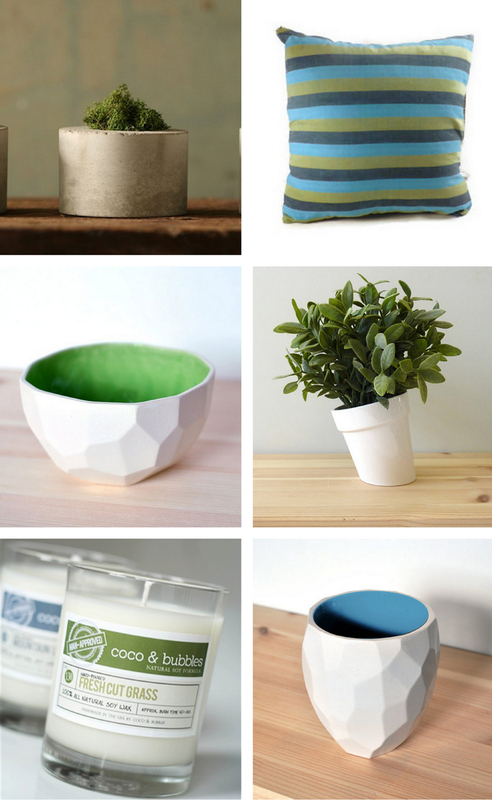 I read the pitch, took a peek at the adorable line-up of affordable and gift-worthy products (hello, rad geometric bowls and concrete planters), and thought to myself "He nailed it." Hence, there is now a post about Annie Housewife on TMT, and this gent inspired me to share some super quick #PR101 tips with y'all. 1. Know your outlet. Take the time to actually read the outlet before pitching. Do they do gift guides? Reviews? Round-ups? Decide the angle you want to approach them at, and make sure you are timely and on-topic. Casting a wide net and sending off-base topics to various outlets isn't a good idea either - you are wasting time and making that person's inbox cluttered. Clutter gives me a case of the sads. Don't be clutter. 2. Get personal. Adrian started it off with a compliment that shows that he (well, his wife Ilse actually) reads my blog. 5 points right there. Like most writers, editors and bloggers, I love getting feedback from my readers. Showing that you follow along and are engaged with what they are doing is a simple but effective way to get a person's attention. An email starting off with "Dear Triple Max Tons," or "Dear Editor" probably won't get you to the top of anyone's "blog post ideas" list. 3. Be concise. I tend to be a chatterbox and can get a little "fluffy" in my writing sometimes, but that is when I need my 'editing goggles' on most. Craft your pitch, whittle it down to digestible, concise tidbits that easily relays key info, and read it aloud to make sure there aren't any typos. 4. Use links and embed images. Make it easy to check out your site/product and get in touch- provide hyperlinks to your website, social links (usually in signature), and embed (not attach) 1-2 images for fast viewing in the body of the email. High fives for cool new e-boutiques and learning sessions, all packaged in one pretty post. Just want to say that I don't intend this list to be used as an exact recipe for PR success every single time - more like a few quick tips to help any newbies craft a proper pitch that will help get you noticed in a minefield of emails. Enjoy! You are welcome, Ilse! Happy to help spread the word, and keep up the great work. This is a great post. I get the most unwanted pitches in my inbox from bloggers. they will ask me to buy ads but im not looking to advertise with their demographic or worse you can see they bought their social media followers.